It’s been a brilliant two days of interactive storytelling, creativity and open source coding. 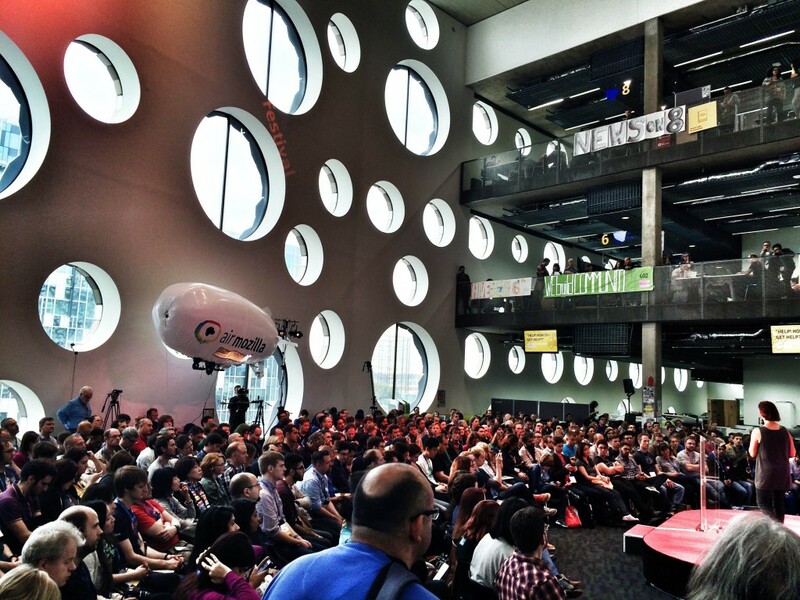 My daughter went along to the Mozilla Festival 2014 with her dad Matt Shearer. 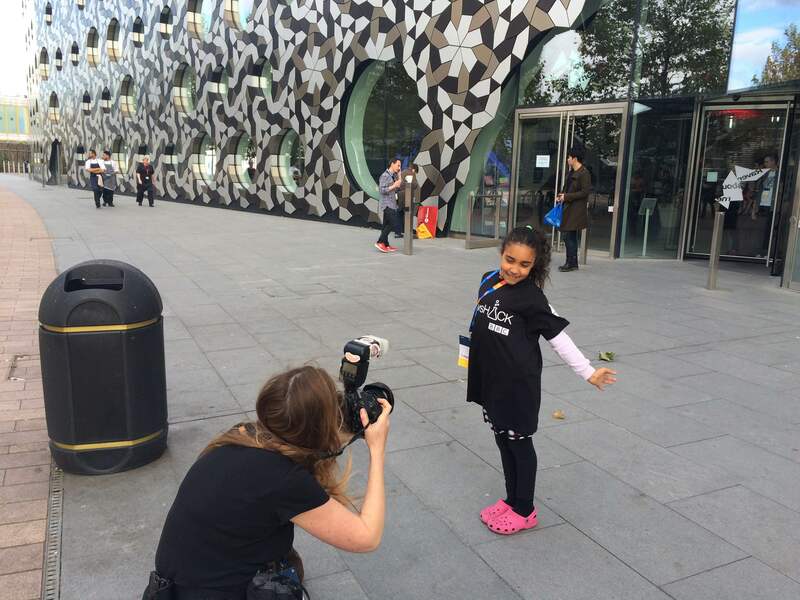 Being snapped outside of Mozfest 2014. Matt’s BBC News lab team were running a demo at the Science Fair. Children were getting stuck in for the giant ‘Maker Party’. From coding Minecraft to making robots.